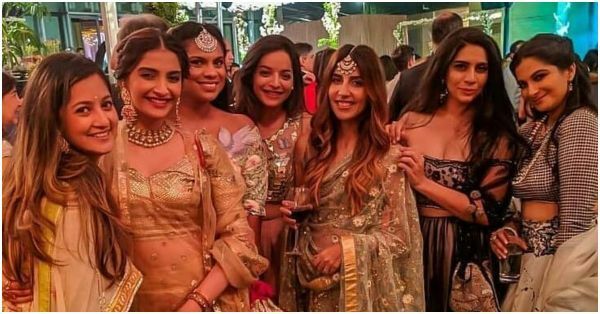 Sonam And Rhea Kapoor Are The On-Point Bridesmaids You Want At Your Wedding! The Kapoor siblings are such a stylist lot- especially when it comes to slaying wedding looks. 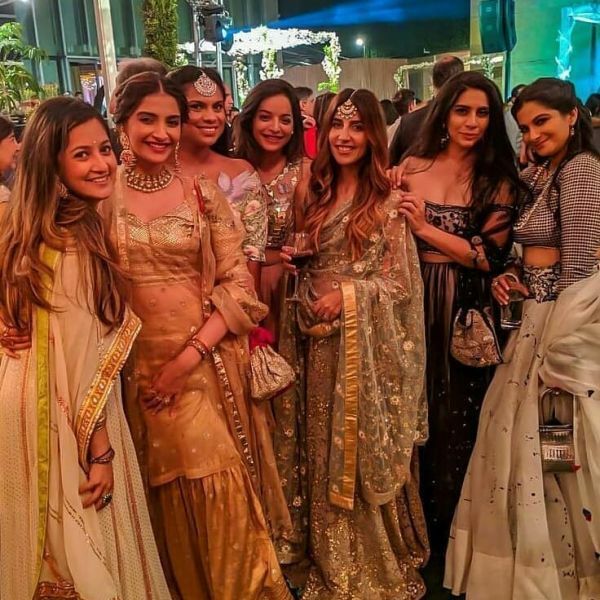 The Kapoor Family was attending a mehendi ceremony in Mumbai on Sunday and Sonam Kapoor and Rhea Kapoor gave us some major bridesmaids goals with their resplendent looks. The sisters looked stunning in their respective Indian attires. Sonam wore a golden lehenga paired with a sheer kurta and matching jewellery and looked drop dead gorgeous. 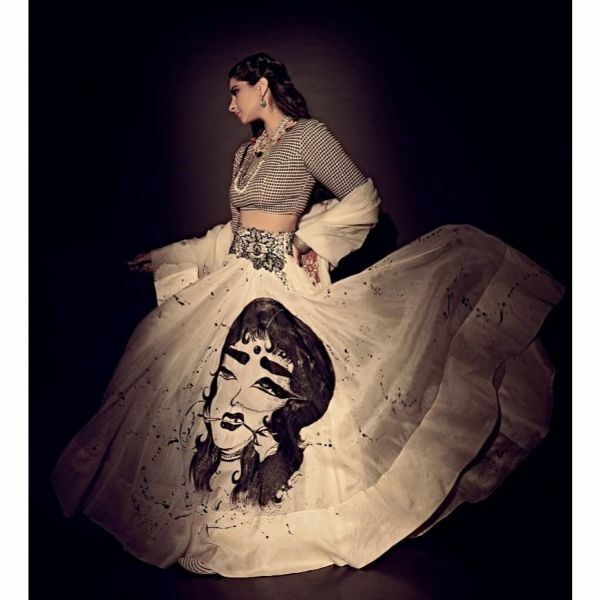 However, it was Rhea Kapoor who totally stole the show with her quirky lehenga. 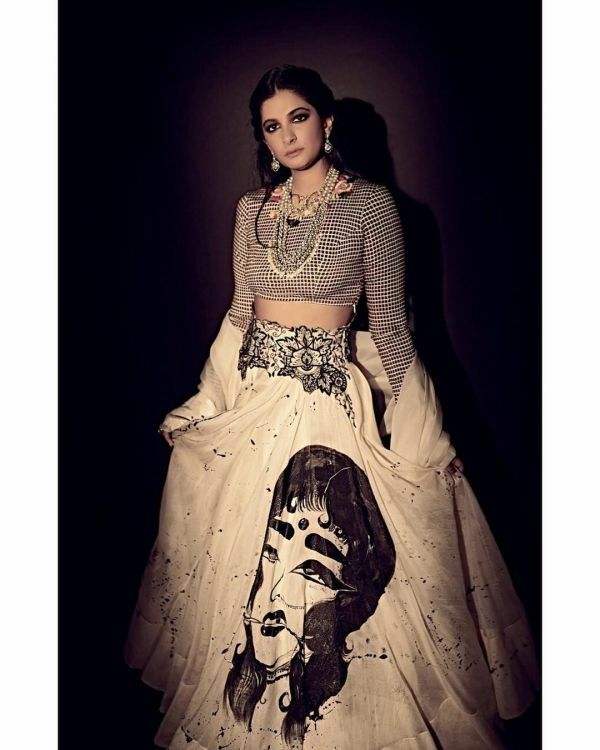 Rhea Kapoor's experiment with the lehenga came off as a complete surprise. 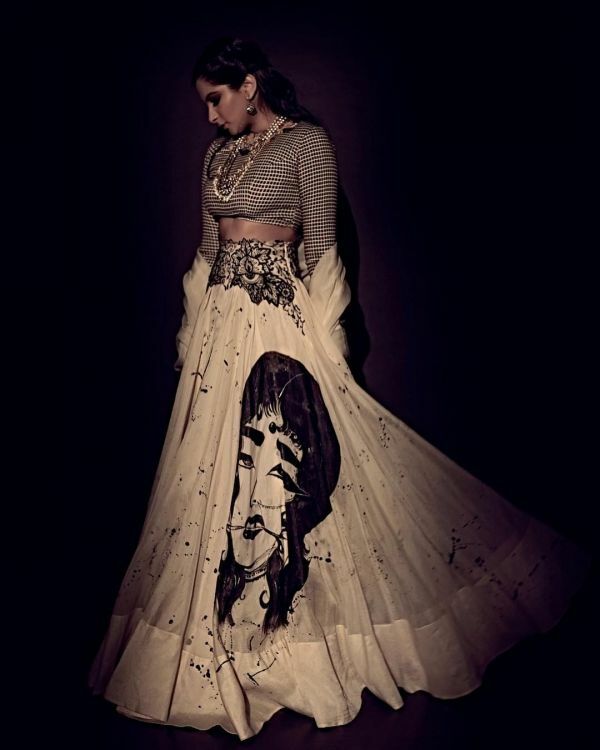 Handpicked from the Anamika Khanna collection, the lehenga was a perfect melange of traditional and contemporary. Designed by Khanna and later hand painted by Babbu The Painter, the lehenga is a revamped version of a regular lehenga. She completed the look with statement necklace, jhumkas, and her signature makeup look. Here's Rhea Kapoor giving us some major bridesmaid inspiration on how to go all edgy at the upcoming wedding in the family. 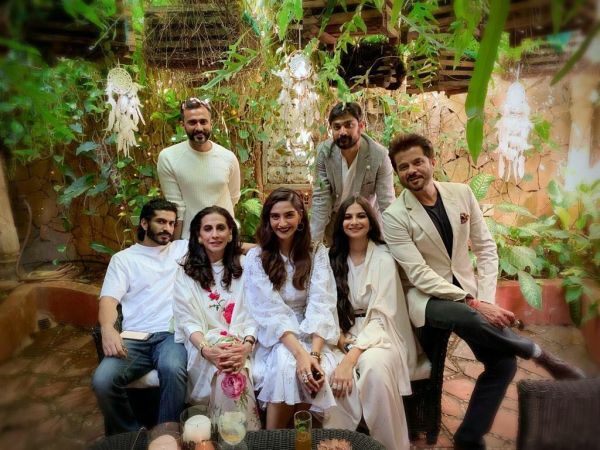 Sonam, who was chilling in Bali with her bae reached Mumbai in time to be a part of the mehendi ceremony of socialite Hanna Stromgen and Saif Khan. The couple first joined parents Anil Kapoor and Sunita Kapoor and siblings Rhea and Harshvardhan for a lunch together. Rhea's rumoured boyfriend Karan Boolani was also a part of the family lunch. Anil Kapoor was the first to share a picture of the happy family with the caption, "A happy Sunday with the only humans that make me feel all warm and fuzzy inside." The picture garnered over 2 lacs like on Instagram. We love how the family is twinning in white! On the professional front, Sonam Kapoor and Anil Kapoor will soon be sharing the screen together in Shelly Chopra's Ek Ladki Ko Dekha To Aisa Laga that is an off-edge rom-com. Sonam plays the role of a lesbian in the movie.